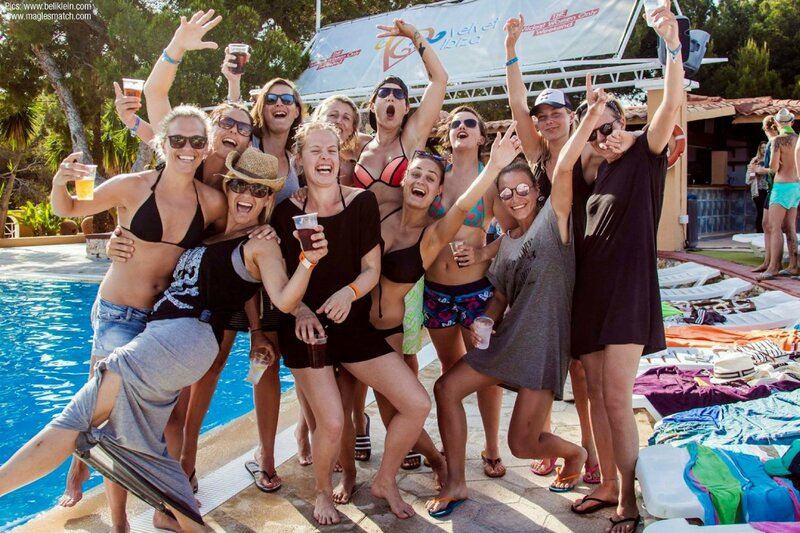 400+ women descend on the White Isle for four days of fun in the sun. Velvet Ibiza, the biggest women's festival in Europe, is holding its fourth annual festival in Ibiza from April 26-30 2018 at the Cala Nova Hotel in Es Caná. With over 400 lesbian and bi-women heading to the island from over 28 countries, this is the place to be and be seen if you are a woman into women. A wealth of international female DJs are flying in to provide the music, both by the pool during the days and in the hotel's transformed club at night. The DJs hail from America, Tel Aviv, Germany, Holland, the UK, Austria and Ibiza - providing a diverse soundtrack that caters to all music tastes. This year, the hotel's ballroom is being transformed into a true clubbing experience - with professional big club style production and parties like the UV party, including face and body painting offered for free and the retro cool mixer on Saturday with wacky photo booth, giant palm trees and flamingos adorning the room. Alongside the amazing talent spinning the tunes, each day has social ‘mixers' for meeting other women, rave bingo, yoga and beach volleyball, organised hikes around the north of ibiza, sightseeing tours into Ibiza Town and the famous rubber duck race. Based on the cliff-top in Es Caná, the hosting hotel offers stunning views across the sea or of course, you can lay by the gorgeous pool to soak up the rays and see the sights. The event is nearly sold out so grab your tickets on the Velvet Ibiza website and get ready to party! Use the code PINK to get s special Ibiza Spotlight reader discount. Day passes for locals are also available.